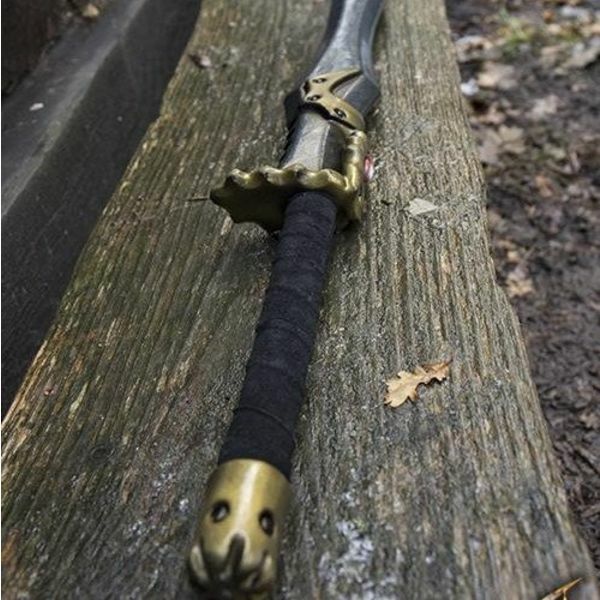 Soul Stealer, LARP sword with a gold-colored pommel, cross-guard and ornaments. 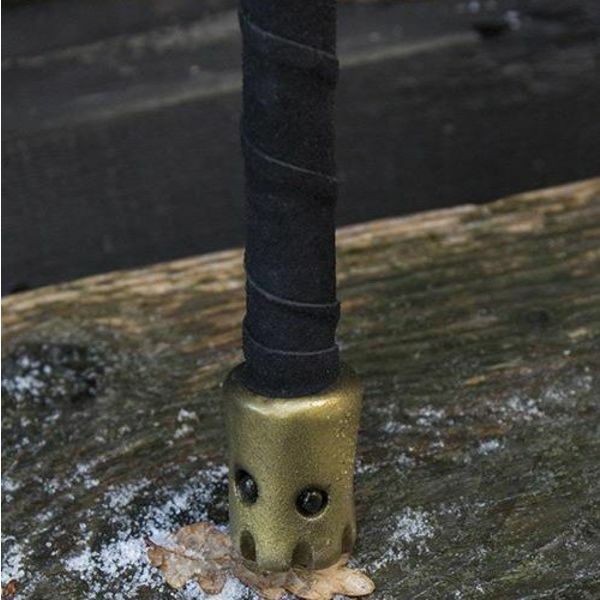 This weapon has a glass fibre core with a layer of durable foam that is coated with a strong layer of latex. 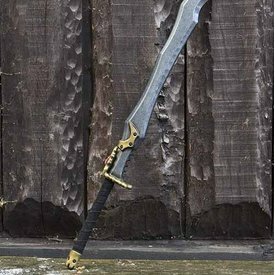 The total length of the sword is approx. 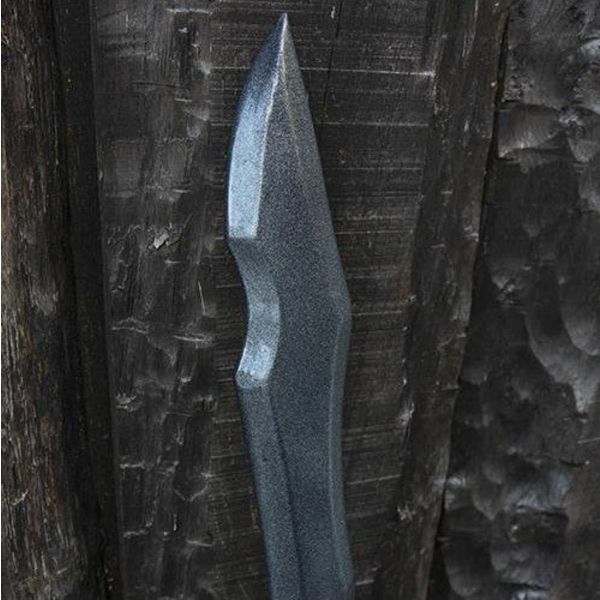 110 cm, with a blade of 80 cm, a grip of 24 cm and it weighs 420 g. The tip is enforced with kevlar, for extra security. 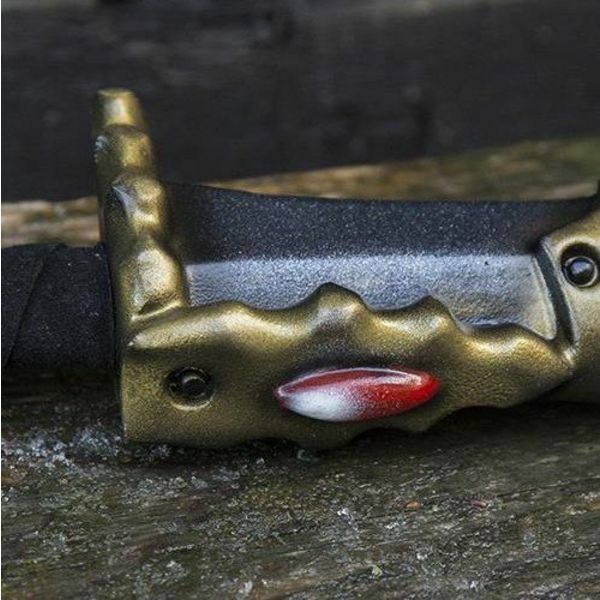 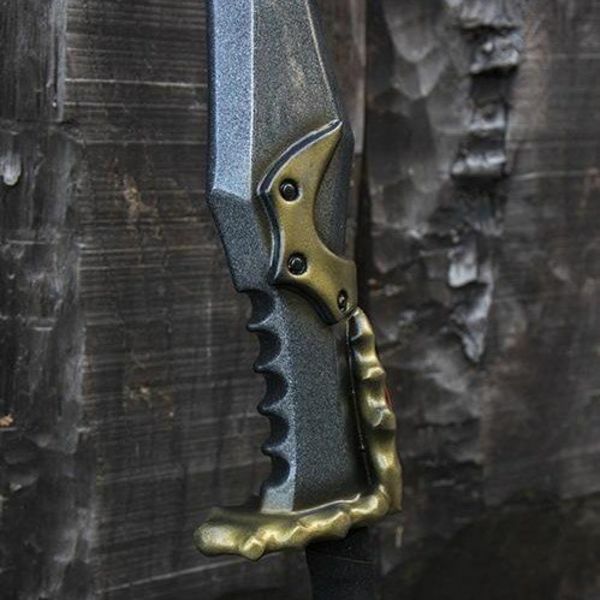 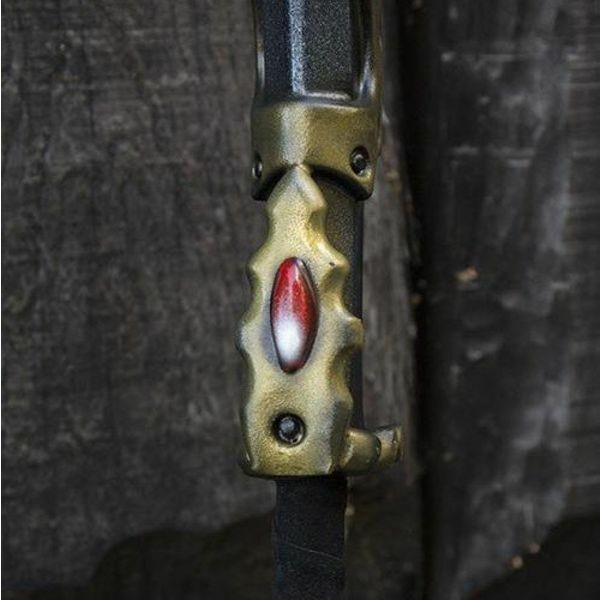 The sword is handmade and manually colored so every item is unique. 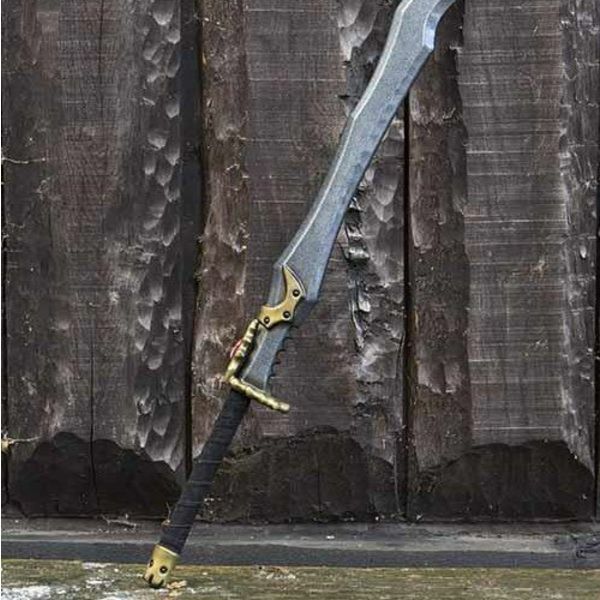 Because of the material we do not recommend leaving the sword in the sun for a longer period of time. 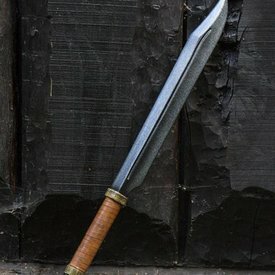 Epic Armoury swords meet high safety standards.